Kikkert, Peter. "Canadian Arctic Expedition". The Canadian Encyclopedia, 16 November 2018, Historica Canada. https://www.thecanadianencyclopedia.ca/en/article/canadian-arctic-expedition. Accessed 21 April 2019. Stefansson's ice party leaving Collinson Point, Alaska, 16 March 1914 (courtesy National Archives of Canada/C-23659). The Canadian Arctic Expedition (1913–1918) was Canada’s largest, most expensive and scientifically sophisticated Arctic venture to that date. The venture — which included many Iñupiat (Alaskan Inuit), Inuvialuit	(Western Arctic Inuit) and Inuinnait (Copper Inuit) — asserted Canada’s sovereignty in the Arctic Archipelago, discovered new islands, remade the map of the Far North, and collected a vast amount of scientific data. It was the first expedition financed and supported by the Canadian government to explore the Western Arctic. 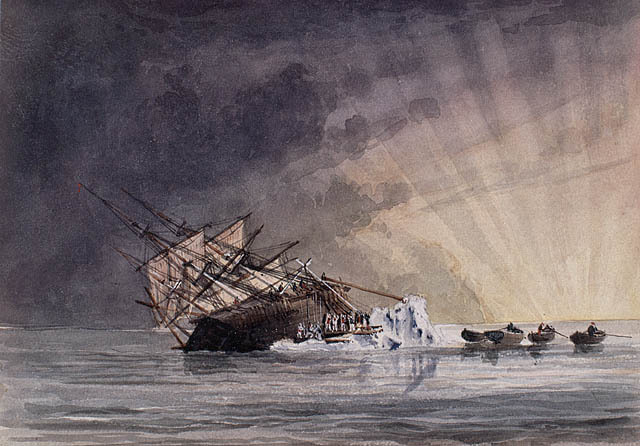 Commanded by the controversial explorer Vilhjalmur Stefansson	and plagued by internal dissension, the endeavour proved to be a mixture of both achievement and disaster. It comprised more than 100 people, including zoologist and second-in-command, Rudolph Martin Anderson, anthropologist Diamond Jenness, and dozens of Iñupiat, Inuvialuit and Inuinnait hunters, guides and seamstresses. In addition to scientific and cultural research, the expedition’s accomplishments included the discovery of the Lougheed, Borden, Meighen, and Brock Islands — at the time, regions unfamiliar (or unknown) even to Inuit. The Canadian Arctic Expedition (CAE) strengthened Canada's claims to sovereignty over the Arctic, and established Stefansson 's reputation as a visionary genius to his admirers and a manipulative liar to his adversaries. By the beginning of the 20th century, the Canadian government had done little to establish its authority over, or even explore, the Arctic islands that Britain transferred to Canada in 1880. The activities of foreign explorers and whalers, however, prompted Ottawa to extend its efforts in the Archipelago with a North-West Mounted Police (NWMP) post on Herschel Island	and seaborne patrols commanded by Joseph-Elzéar Bernier. As Canada’s presence in the Arctic increased, Canadian-born anthropologist and explorer Vilhjalmur Stefansson began his explorations of the North on two privately funded ventures: he joined the 1906–08expedition led by Danish explorer Ejnar Mikkelsen and American explorer Ernest de Koven Leffingwell, and mounted his own voyage with Rudolph Martin Anderson. The first expedition sought and failed to find undiscovered land in the Beaufort Sea, while the second conducted ethnographical and scientific research from Point Barrow, Alaska to the Coronation Gulf. In 1913, Stefansson planned another Arctic expedition and secured funding from several American organizations, including the American Museum of Natural History and the National Geographic Society. Desiring additional financial assistance, Stefansson sought the support of Prime Minister Robert Borden and the Canadian government. The Canadian government placed the CAE under the responsibility of the Department of Naval Service and the Geological Survey of Canada, and the venture’s new orders emphasized both geographic discovery and multidisciplinary scientific research. The orders split the expedition into two groups: a smaller Northern Party led by Vilhjalmur Stefansson, which would focus on exploration and seek out new land on the Beaufort Sea, and a larger Southern Party under Rudolph Martin Anderson, which would conduct scientific research around the Coronation Gulf. Although Stefansson was in overall command of the expedition, only the Northern Party was under his personal direction. In 1913 Bartlett commanded the Karluk, supply ship of the Canadian Arctic Expedition. In June 1913, the expedition departed Victoria, British Columbia, on Karluk, bound for Alaska. In Nome, the expedition purchased two additional schooners, Alaska	and Mary Sachs. 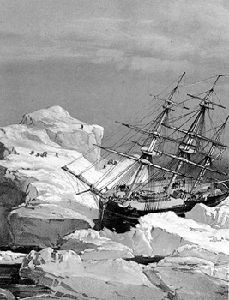 The Southern Party boarded the two schooners and travelled eastwards until worsening ice conditions forced them to overwinter at Collinson Point, Alaska. Meanwhile, on 13 August, the ice entrapped Karluk and the Northern Party about 362 km beyond Point Barrow. On 20 September, Stefansson took five companions on an excursion to hunt caribou — they would never see the vessel again. Two days after the party departed, a blizzard pushed Karluk towards Siberia until it drifted to a position about 97 km northeast of Wrangel Island. On 11 January 1914, the ice crushed and sank the vessel, leaving all 25 crew members and expedition staff alive on the ice. Soon after, four men perished as they tried to make their way back to Alaska, while four others died after travelling to nearby Herald Island. The other crew members reached the relative safety of Wrangel Island, where they made camp. To save the group, Robert Bartlett and an Iñupiat hunter, Kataktovik, undertook a dangerous march across the ice to the Russian coastline and then to Alaska, where they dispatched a rescue mission. As they waited on Wrangel, Karluk’s crew and expedition staff faced austere conditions and growing hunger. Two died from nephritis (inflammation of the kidneys) and another from a gunshot wound, which may have been accidental, a suicide or murder. One survivor, William Laird McKinlay, who joined the British army soon after his rescue, remarked that, “Not all the horrors of the Western Front, not the rubble of Arras, nor the hell of Ypres, nor all the mud of Flanders leading to Passchendale, could blot out the memories of that year in the Arctic.” American adventurer and fur trader Olaf Swenson and his motor schooner King and Winge rescued the survivors 7 September 1914. 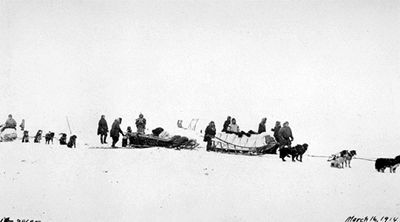 As the Karluk survivors endured on Wrangel Island, the members of the Southern Party spent their first winter at Collinson Point learning how to hunt and travel on the land. 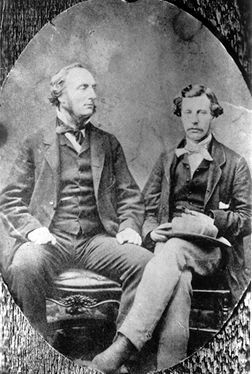 Due to the work of topographers John Ruggles Cox and Kenneth Chipman, geologist J.J. O’Neil, and the assistance of local Inuit, such as Roxy Memoganna, the expedition mapped the coast from the International Boundary to the east and west channels of the Mackenzie River Delta. In the summer of 1914, the Southern Party finally made it to the Dolphin and Union Strait, and the group established its headquarters at Bernard Harbour. Supported by Inuit hunters, guides and seamstresses, including Kohoktok, his wife Munnigorina, hunter Avrunna, and interpreter Patsy Klengenberg (the son of a successful trader and trapper and his Iñupiat wife), the group started to fan out into the surrounding region. In February 1915, Rudolf Anderson, anthropologist Diamond Jenness and marine biologist Frits Johansen explored the lower Coppermine River, guided by Adam Ovayuak, Ambrose Agnavigak and Ikey Bolt. Jenness visited a large Inuinnait snow village on the sea ice near the Berens Islands and lived with a group on Victoria Island for several months, where he was adopted into the family of Ikpukkuaq and Higilaq. As spring 1915 dawned, the Southern Party journeyed to Bathurst Inlet, which they surveyed and studied. They continued their exploration and scientific study of the area around Coronation Gulf into 1916, completing a vast amount of field work related to botany, geology, geography, oceanography and zoology. Jenness studied Inuinnait culture and language extensively, while taking sound recordings of their songs and oral traditions. In the summer of 1916, the Southern Party returned to Victoria with a vast amount of scientific material. A country focused on the First World War	largely ignored the group’s arrival. After his separation from Karluk in 1913, Vilhjalmur Stefansson spent the following winter on the Alaskan coast, trying to replace personnel, supplies and equipment, and eventually purchasing a new schooner. In March 1914 he approached Rudolph Anderson and the Southern Party at Collinson Point and announced his plans to use Mary Sachs, along with some of the party’s supplies and equipment for his exploration. Anderson accused Stefansson of trying to raid his group of talent and supplies for a meaningless journey over the ice of the Beaufort Sea. Stefansson rebutted that only his exploration and any new discoveries he made would make the expedition respectable and successful in the eyes of the Canadian government and public. Shortly after, Stefansson and two volunteers, Storker T. Storkerson and Ole Andreasen, made a three-month, 800 km sled journey across the ice of the Beaufort Sea to Banks Island, where they were re-supplied by Mary Sachs. During the next three years, Stefansson and small supporting parties of mostly Inuit men and women maintained themselves in the islands, establishing winter bases on Banks Island and on the south coast of Melville Island. They explored the unknown northeastern coast of Victoria Island and discovered Brock and Borden Islands (and what is now Mackenzie King Island) in 1915, and then Lougheed and Meighen Islands the next year. Through his northern exploration, Stefansson hoped to prove that it was possible for an expedition to live off the resources of the land and sea. That he was able to do so largely reflected the work of his Inuit	hunters and seamstresses, such as Alingnak and his wife Guninana, and the guides Emiu and Natkusiak, who proved invaluable in the face of snowstorms and mounting injuries. While Stefansson proclaimed his self-sustaining method of exploration practicable, his party often faced hunger and worsening health. Despite instructions from the government ordering him to return, Stefansson elected to stay longer in the Arctic. In March 1917, a small party headed out onto the sea ice north of Borden Island and achieved a point above 80ºN (the furthest north the expedition travelled), before scurvy forced them to turn back. 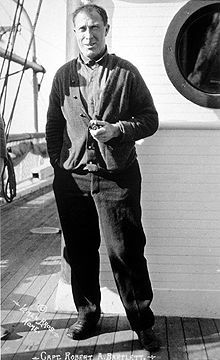 Even as he began his journey to Alaska in the summer of 1917, Stefansson planned another voyage on the Beaufort Sea ice. After Stefansson fell ill in early 1918, Storkerson completed the final five month sea ice journey — the last effort of the Northern Party. After recovering from his illness, Vilhjalmur Stefansson returned south in the fall of 1918 to find that the CAE had been largely overshadowed by the First World War. While the expedition had made many scientific and geographic discoveries, 17 men had died: 11 after Karluk sank, as well as four members of the Northern Party and two of the Southern Party. Furthermore, the original budget of $75,000 had grown to $559,972 by the CAE's conclusion. A war of words soon erupted between Stefansson, Rudolph Anderson and other members of the expedition who alleged their leader was unreliable, boastful and purely out for personal profit. In return, Stefansson accused the Southern Party of insubordination, and wrote a harsh critique of the scientists in his bestseller, The Friendly Arctic. Stefansson promoted the idea that Canada could not hope to retain the Arctic simply by colouring the region red on its maps. Instead, he consistently called for effective occupation of the North and pushed the Canadian government to claim territory outside the Archipelago, particularly Wrangel Island. Stefansson promoted the idea of a “friendly Arctic” and a “Polar Mediterranean,” painting the Arctic as the centre of the world and its development as the key to Canada’s prosperous future. Despite the popularity of his ideas, Stefansson would never lead an expedition to the Arctic again. Few expeditions have had a more significant impact on Canada’s Arctic history than the CAE. At the local level, the expedition brought European goods, a wage economy and the Canadian government to certain groups of Inuit	for the first time, and introduced new technologies, such as sewing needles, matches, rifles and ammunition. At the national and international levels, the CAE constituted a significant assertion of Canada’s sovereignty. The expedition uncovered thousands of square kilometres of land and sea, and made the last major territorial discoveries in the Archipelago. The CAE redrew substantial portions of the Arctic map, surveyed the coastline from Alaska to the Bathurst Inlet, and fixed errors in older charts of the region. During their trips over the ice, the Northern Party undertook regular soundings of ocean depth and started to outline the edge of Canada’s continental shelf from Alaska to Prince Patrick Island. The Southern Party collected thousands of geological samples, biological specimens and cultural artefacts, took thousands of photographs, recorded more than 50 minutes of movie film, and logged enough data to fill 14 volumes. The scientific baseline that the CAE created for parts of the Western Arctic continues to be used by researchers today. Janice Cavell and Jeff Noakes, Acts of Occupation: Canada and Arctic Sovereignty, 1918-25 (2010); Richard Diubaldo, Stefansson and the Canadian Arctic (1978); David Gray, The Canadian Arctic Expedition, 1913-1918: A Briefing Report for Action Canada (2013); Diamond Jenness, The People of the Twilight (1928); Stuart Jenness (Editor), Arctic Odyssey: The Diary of Diamond Jenness 1913-1916 (1991); Trevor Levere, Science and the Canadian Arctic: A Century of Exploration, 1818-1918 (1993); William L. McKinlay, Karluk - The Great Untold Story of Arctic Exploration (1976); Gordon W. Smith, A Historical and Legal Study of Sovereignty in the Canadian North, ed. P. Whitney Lackenbauer (2014); Vilhjalmur Stefansson, The Friendly Arctic: The Story of Five Years in Polar Regions (1921). Diary of Captain BartlettRead the diary Robert Bartlett, captain of the Karluk, kept during the expedition. The Friendly ArcticRead Vilhjalmur Stefansson’s bestselling book, The Friendly Arctic: The Story of Five Years in Polar Regions, published in 1921.